Bay Area GOD Chapter conducted a one-day Gopakuteeram summer camp on Friday, August 10th 2012 at the Evergreen Community Library in San Jose from 9:30am – 4:30pm for kids aged 5-12 years. 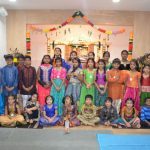 The camp was filled with exciting activities with more focus on imparting the Indian cultural values and universal spirituality in a fun filled manner. 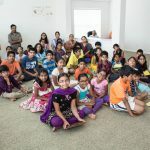 The kids enjoyed playing games, creating colorful pen-holders, decorating their own Lord Ganesha during the Ethnic Art session and watched an animated video on Indian history. They also learnt the importance of herbs and their medicinal values during the Ayurveda session. 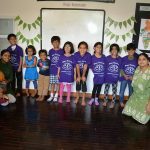 The kids then had an interactive session with a Chess expert and learnt the nuances of the game followed by a story session from scriptures. The session ended with Mahamantra kirtan. 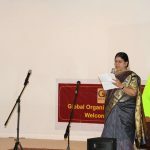 Gifts and certificates were distributed to all the kids.